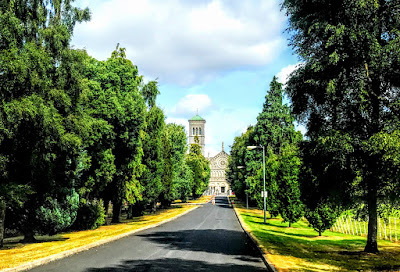 From the steps of the Cathedral of the Assumption in Thurles, two gate piers surmounted by eagles enclose the vista along a 300-yard long avenue that leads up to Saint Patrick’s College. The college was once proposed as the location for John Henry Newman’s Catholic University, and there were dreams of Thurles in Co Tipperary becoming the Oxford of Ireland. Today, after almost two centuries of educational excellence, the college is in a new relationship with the University of Limerick. Saint Patrick’s College was founded by Patrick Everard, Archbishop of Cashel and Emly. When he died in 1821, he left £10,000 from his portion of the Everard family fortune to establish a college to offer a liberal education for young Catholic men preparing for the priesthood and for professional business careers. The college was built on glebe land or church land bought from a local Church of Ireland minister, and the site is believed to have been part of the lands of the mediaeval Carmelite friary in Thurles. The first stone was laid by Archbishop Robert Laffan of Cashel, on 6 July 1829, in the presence of Daniel O’Connell. This was the year of Catholic Emancipation, and to mark the occasion the college adopted the Latin motto Renovabitur sicut aquilae Juventus tua, ‘Your youth will be renewed like the eagle’ (Psalm 103: 5). The architect Charles Frederick Anderson (1802-1869) won the competition to design the college, and he supervised building work between 1830 and 1831, while Denis Leahy was the engineer. At the time, Anderson was a member of the Church of Ireland and had already worked for the Limerick-based architect brothers, James Pain and George Richard Pain, who had placed him in charge of building Saint Alibius Cathedral, the Church of Ireland Cathedral in Emly. He later became a Roman Catholic, and emigrated to the US where he died. The plans were to open the college in 1834, but the project was delayed when Archbishop Everard’s legacy ran out. The building was still incomplete when the college opened its doors in September 1837. The main building is a detached, 21-bay, three-storey former seminary, with a central three-bay pedimented breakfront and two slightly projecting three-bay terminating blocks. The breakfront blocks, recessed windows arches on the ground floor and the pediment are interesting architectural features that are representative of Georgian-style architecture. At first, Saint Patrick’s enrolled day students and boarders, offering second-level education in the humanities, with a limited contribution from the sciences. These first students were preparing for careers in business and the professions. A Philosophy Department opened in 1842, when some students became candidates for the priesthood for the first time. 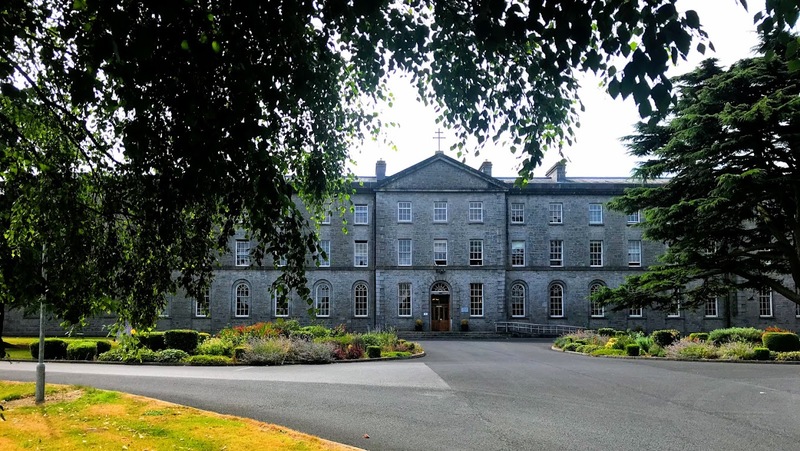 Archbishop Michael Slattery of Cashel established a foreign mission department in the college that year, and in time many graduates went to the US, Australia and New Zealand. But poverty and the effects of the Famine set back the development of Saint Patrick’s College. From 1849, the University of London allowed Thurles to offer degrees in arts and laws, following an similar arrangement with Saint Patrick’s College, Carlow, and Saint Kieran’s College, Kilkenny. In August 1850, a synod of Roman Catholic bishops met in Thurles, the first such synod since the Synod of Cashel in 1172. 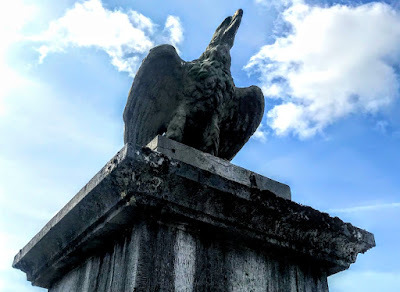 It is said that the two eagles surmounting the central gate piers – which may have been inspired by the college motto – were put in place at the college entrance in 1850 to mark the Synod of Thurles. The Synod appointed a Catholic University Committee and at the time Saint Patrick’s was considered as a site for the Catholic University proposed by Cardinal John Henry Newman. Newman paid his first visit to Ireland in October 1851, coming directly to Thurles, where he stayed in the college and where he caught a severe cold. Although Newman reported that Saint Patrick’s was ‘a large fine building,’ he reported it was set ‘on a forlorn waste, without a tree, in a forlorn country, and a squalid town.’ Thurles is hardly a ‘squalid town,’ but the vision of Thurles as the Oxford of Ireland had come to an end. Regardless of Newman’s dismissive opinions, the college had developed into a major seminary by the mid-1860s, with the addition of a full theology faculty. The relationship with the University of London continued for over 20 years. 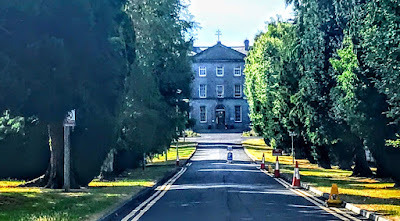 In 1875, the college was linked to the Catholic University of Ireland, and then with the Royal University of Ireland in the 1900s, and later with the Pontifical University in Maynooth. Lay students continued to attend until 1907. After a gap of 81 years, lay students were readmitted in 1988. But Saint Patrick’s ceased to function as a seminary in 2002. By then, the college had ordained over 1,500 priests. In 2004, Saint Patrick’s started offering degrees in education through the Tipperary Institute. From 2011, the programmes at Saint Patrick’s were accredited by the University of Limerick. The college celebrated its 175th anniversary in 2012, when the first students graduated with degrees from the University of Limerick. 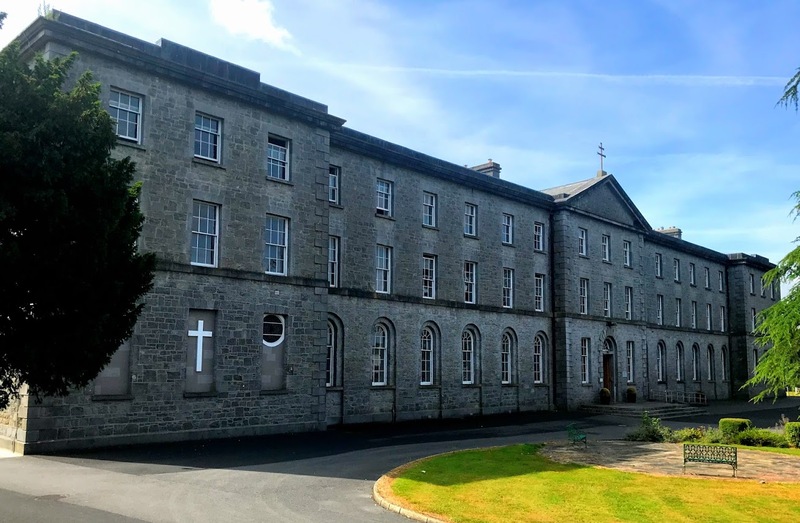 A new agreement was signed with Mary Immaculate College Limerick in 2016, and the college is now known as MIC Saint Patrick’s Campus, Thurles. Today MIC Thurles offers degrees from the University of Limerick in theology, business studies, Irish, religious studies and education, as well as some certificates in pastoral care. And, despite Newman’s first impression of ‘a forlorn waste, without a tree, in a forlorn country, and a squalid town,’ there is an abundance of trees in the grounds and lining the avenue in this pretty and attractive town in Co Tpperary.